Welcome! This Blog is about myself, my life and a few tricks on self-publishing. With this blog I want to share my experiences with you. Subjects: my life and self-publishing. Instead of only writing about me (what doesn’t help you), I’ll give you tips from the best self-publishing author’s world-wide. Let me tell you one thing: It’s not that difficult as you might think! I really enjoy being an author. It’s a great work! 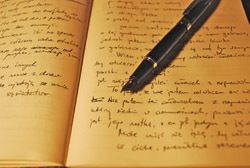 More about me and self-publishing in my upcoming articles. 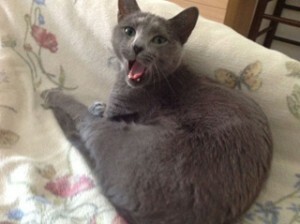 Why did I decide on writing about the Russian Blue? This citation pretty much reveals my thoughts on our cat. This cat is part of the family for several years now already and she fits in just right. After coming up with the idea, I contaced a few friends and after disscussing my thoughts, I announced online that I was looking for other experienced cat owners to help my write about these beautiful creatures. Happily a couple from the US got in touch who had shared their life with cats for over 50 years already. 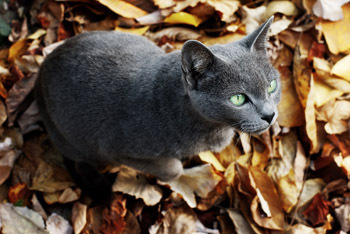 And the most brilliant thing was, that they had focused on the Russian Blue for the last decade. Another important fact was that they were both journalists and had started with a few projects already. We got into a lively conversation, exchanged experiences, pictures and simply got friends in the end. They gave me great ideas on how to start with the book, what topics to cover on this intelligent, royal and friendly cat that we all admired so badly. I’m actually adding friendly because my cat never destroyed anything in our household or got me into trouble other-how. In the end, my friends and me were quite shocked that there was no proper book on the market, covering all the topics we wanted to know something about. And the ones’ that were available were either way to expensive or just not good enough to us and for our cats that had so many unexplained things come with it – truly mystical for Russian Blue enthusiasts. The fact that, indeed, they were the favoured cats of the Russian Czars and British Queens give them the last polish. We simply love them and I hope that my book could intensify your relationship to your cat. 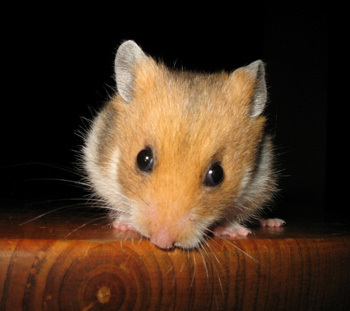 Why did I decide on writing about the Syrian Hamster? Firstly because I adore this animal: those twinkling eyes, plump body and dexterous feet have given me a great time with them and a lot of our customers at the veterinary clinic have different kinds of hamsters. Secondly because as well as you, I totally hated that there was no specific book on Syrian Hamsters, but only a few on hamsters in general, that would entertain and teach me enough to read it – all the way from the very first page to the last topic. Anyways, I again met a now brilliant colleague of mine on the internet: Mich Medvedoff. She is a real story teller and since it was so joyful writing her and getting back her quick responses, I told her more about my project and that she would turn it into something really unique. So I agreed on having her do the writing, based on well-researched information and my personal experience with these animals. I tried to pay regard to what relatives of mine who owned several hamsters wanted to learn more about. Apart from adding my stories from the veterinary clinic, we checked out what customers on the internet would have liked to be added into books that were related to the Syrian Hamster. All this turned the book into an actual hamster bible, with eye-opening advices and thoughts, mostly expressed in a way a hamster would see it. Isn’t that just so cute :-) !? We hope to have written a funny and charming, nevertheless lecturing non-fiction book for your whole family, kids and adults – no matter if you own a hamster or not (yet!). I wish this book will remove the scales from your eyes. Enjoy entering the World of the Hamster! This publication is Copyright 2013-2016 by Waltraud Karola Brecht. All products, publications, software and services mentioned and recommended in this publication are protected by trademarks. In such instance, all trademarks & copyright belong to the respective owners. Do you also want to have an amazing-looking website? Self-Publishing non-fiction books, guide books and charming stories.Tips and Tricks about self-publishing Your first book!